Cebu’s Sinulog Festival is a celebration both solemn and festive, a festival of festivals held every January in Cebu City with much pomp and pageantry. Although the Sinulog Festival has grown to become a month-long festivity, its highlights happen every third week of January. 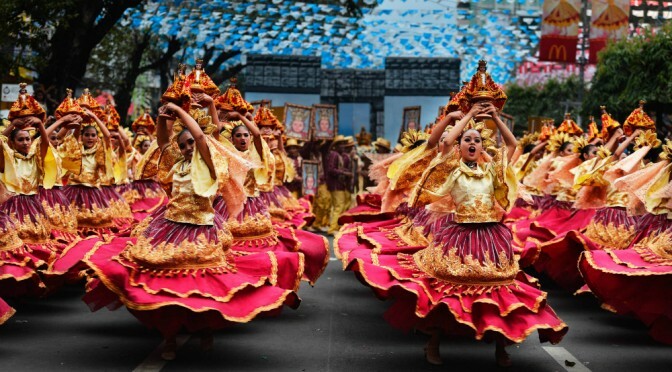 Sinulog 2014 photo contest second grand prize winner is by Teddy Uy. Used with permission from Sinulog Foundation, Inc. The important Sinulog 2015 dates are January 17 and 18. Sinulog 2015 activities will culminate in the first baptism reenactment as well fluvial and solemn processions on January 17 and Sinulog Grand Parade on January 18. Below is the official list of Sinulog 2015 program of activities from the Sinulog Foundation, Inc.
One of the winning entries to the Sinulog 2014 photo contest was this photo submitted by Nitzi Tanuy. Used with permission from the Sinulog Foundation, Inc.